Think you know Doctor Who? Think again. 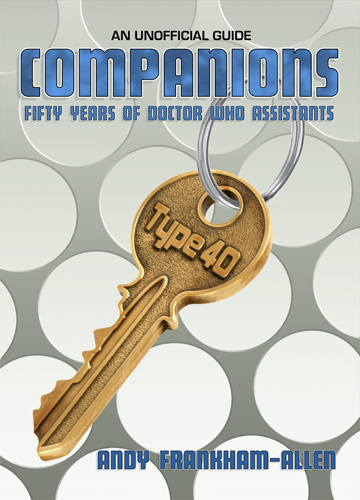 Companions: Fifty Years of Doctor Who Assistants is an in-depth account of each Doctor Who companion. This book examines each assistant’s significance in the TV series as well as other Doctor Who media. Written by a true fan, Andy Frankham-Allen, the book also features a foreword by Gary Russell and afterword by David J Howe. It will appeal to fans of Doctor Who: Whology, A history: An Unauthorised History of the Doctor Who Universe and The Discontinuity Guide. ALSO AVAILABLE ON KINDLE and UNTREED READS.